Mark Hitchcock is the author of nearly 20 books related to end-time Bible prophecy, including the bestselling 2012, the Bible, and the End of the World. He earned a ThM and PhD from Dallas Theological Seminary and is the senior pastor of Faith Bible Church in Edmond, Oklahoma. He has worked as an adjunct professor at DTS, and he and his wife, Cheryl, have two sons. Many want to better understand who the Antichrist is, what he will do, and when he will arrive. This book answers the tough questions through a fascinating tour of what the Bible says about the Antichrist. Ed Hindson, Is the Antichrist Alive and Well? speculation about the Antichrist today? It is becoming increasingly clear to many that this world is drawing nearer to “closing time,” and people are asking questions about the future like never before. Many are fearful, anxious, and uncertain. There’s a growing fascination with what might happen next. People are more and more focused on what tomorrow might hold. Economic meltdowns, the menace of pandemic plagues, cataclysmic natural disasters, and the dreaded threat of nuclear terror are all converging to make the world a more dangerous place than at any other time in human history. At the same time, there’s growing talk among world leaders about efforts toward global unity. For example, there have been high-profile economic and climate conferences at which government representatives have tried to get multiple countries to work together toward certain goals. And there are other ways that various governments have called for global cooperation with regard to specific problems and issues. More and more we are seeing efforts toward a centralization of power that is leading many to wonder if the time of the Antichrist is here—if the final world ruler and his one-world government is about to make his debut on the world stage. The world is longing for someone who can bring hope and provide answers for the world’s mounting crises. Could the Antichrist’s arrival be soon—very soon? Could he be alive now and present somewhere on earth, waiting in the wings for his time to come? President John F. Kennedy—He was a Catholic who was assassinated by a head wound. Some people associated this with the mortal wound the Antichrist will one day receive (see Revelation 13:3) and expected Kennedy to come back to life. Henry Kissinger—He is a Jewish person whose name, according to some calculations, equals 666. A key reason some people suggested he might be the Antichrist was his former renown as a great diplomat and peacemaker. Mikhail Gorbachev—Who could ignore that great red mark on his forehead? Some people assumed it just had to be related to the mark of the beast. President Ronald Reagan—His name, Ronald Wilson Reagan, was comprised of three words with six letters each, which some people equated with the number 666. They also thought his recovery from a gunshot wound might have some significance. Bill Clinton—Many people pointed to Bill Clinton as possibly being the Antichrist, and some of them viewed Hillary as the false prophet (a companion of the Antichrist who, according to the book of Revelation, will promote Antichrist’s power and persuade people to worship him). Jesus spoke in Aramaic, not Greek. It’s noted that in biblical Hebrew, the word translated “lightning” is baraq. This is related to Isaiah 14, which speaks of Satan or Lucifer. The Hebrew translated “heights” in Isaiah 14:14 is bamaw. When all is said and done, the evidence is simply bogus. Jesus didn’t speak in Hebrew, and the Hebrew that is given here does not mean “lightning from the heights.” Baraq ubamah means “lightning and height.” But that can hardly be the underlying Aramaic (which is not Hebrew) for the Greek text of Luke 10:18. Thus, a linguistic leap from Greek to Aramaic to Hebrew, with the grammar and vocabulary changing along the way, is required to make Luke 10:18 mean what the narrator wants it to mean. I have no idea whether all those allegations are true, but it shows the extent to which some people are obsessed with trying to figure out the identity of the Antichrist. Not long after all the furor about Obama was hitting the mainstream, an extremist group called the Hutaree militia got a lot of attention in the news because they had plotted to murder a police officer and then kill the mourners at his funeral with the help of homemade bombs. All this was part of a grand plan to prepare for battle with the Antichrist. A key part of the theology concocted by this group was a belief that former NATO secretary-general Javier Solana is the Antichrist. Another reason for the high level of interest people have in the Antichrist stems from the presence of an Antichrist figure in many world religions. You might be surprised, as I was, to learn that the three great world religions (Christianity, Judaism, and Islam) teach about a powerful and sinister world ruler who will emerge during the end times. They are all looking for a man of unparalleled evil, an ultimate enemy who will come during the last days and take over the world. He will be a young man. He will appear during a time of great tribulation. He will be blind in one eye (there are conflicting sources about which eye), and this eye will be covered by a thick film while the other eye will bulge out and protrude like a floating grape. He will have thick hair. He will have the word Infidel (Kaafir) written in between his eyes, or possibly on his forehead, but only true Muslims will perceive its meaning. He will be the incarnation of evil. He will claim to be God. He will be a Jew who will gather 70,000 Jewish followers, along with other nonbelievers and hypocrites. He will go on a whirlwind tour of deception and destruction. He will set himself up as ruler in Jerusalem. He will finally be slain by Jesus at the Lydda Gate when the latter returns from heaven. The Dajjal’s emergence on the world scene is one of Islam’s ten key signs of the end times. Judaism also has an Antichrist figure. Judaism teaches that a Roman ruler named Armilus will be a miracle worker who will lead his armies against Jerusalem. In the end, Armilus will be killed by Messiah ben David or Messiah the Son of David, the true Messiah. In Christianity, as we have already seen, this final world ruler is known as the Antichrist, the beast, and the man of sin, as well as several other names and titles. Are events in our world today setting the stage for the Antichrist’s appearance? Who is this satanic superman who is yet to burst on the world scene? What will he be like, and what will he do? Will he appear during our lifetime? 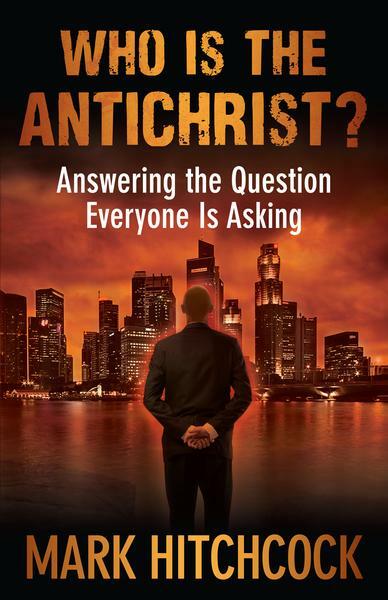 These are the kinds of questions I hope to answer throughout this book as we endeavor to answer the big question that stands as the title for this book: Who is the Antichrist? When it comes to thinking about the Antichrist, some people today may feel like Denis the Carthusian, who said, “Have we not worn ourselves out with that accursed Antichrist?” Yet I believe there are at least four reasons we should take the time to inform ourselves about the coming Antichrist. Few people probably realize that there are more than 100 passages of Scripture that describe the origin, nationality, character, career, kingdom, and final doom of the Antichrist. He is discussed at length in the Old Testament book of Daniel as well as in the New Testament books of 2 Thessalonians and Revelation. God doesn’t want us to be preoccupied with this individual in an unhealthy, unbalanced way, but clearly God wants us to know about this coming prince of darkness, for He has chosen to tell us a lot about him. The sheer volume of information about the Antichrist in Scripture is reason enough for us to understand who he is and what he will do. Third, knowing about the Antichrist helps us see how current events all around us are working together to set the stage for his coming. We will look at this further when we focus on some of the signs of the Antichrist’s coming. As we witness world events shaping up in the way the Bible predicted they would, we will know great peace because we will experience the assurance that comes from realizing the Bible has foretold the future with perfect accuracy. Biblical teaching regarding the Antichrist is not given to make us anxious, but to make us aware. Awareness of God’s victory over Antichrist and all evil gives assurance to believers that both the present and the future are firmly in the grasp of God. We should be concerned about the Antichrist, not just because the Bible speaks of him or out of curiosity, but because he provides insight into the mystery of lawlessness that is already at work (2 Thessalonians 2:7). The pattern of evil which will be clearly played out in the future and personified in the Antichrist should be our concern, so that we can skillfully resist evil in the present. Even though a biblical passage or subject may not directly apply to a particular believer today, a thorough knowledge of Scripture gives the saint of God added insight in living faithfully for the Savior. God’s revelation about the final embodiment of evil is another part of His message to man, and we should not dismiss or disregard it. God wants us to know about the coming Antichrist, and every believer should understand God’s revelation about him as part of his or her overall understanding of God’s Word and His plan for the ages. The truth about the final world ruler is scattered throughout Scripture yet paints a very consistent composite of his person and work. The portrait of the Antichrist is derived from many Bible passages. I have provided some of the key ones below, and you will find it helpful to read these passages at this point because you will find them cited many times throughout the rest of this book. In the latter period of their rule, when the transgressors have run their course, a king will arise, insolent and skilled in intrigue. His power will be mighty, but not by his own power, and he will destroy to an extraordinary degree and prosper and perform his will; he will destroy mighty men and the holy people. And through his shrewdness he will cause deceit to succeed by his influence; and he will magnify himself in his heart, and he will destroy many while they are at ease. He will even oppose the Prince of princes, but he will be broken without human agency. After the sixty-two weeks the Messiah will be cut off and have nothing, and the people of the prince who is to come will destroy the city and the sanctuary. And its end will come with a flood; even to the end there will be war; desolations are determined. The king will do as he pleases, and he will exalt and magnify himself above every god and will speak monstrous things against the God of gods; and he will prosper until the indignation is finished, for that which is decreed will be done. He will show no regard for the gods of his fathers or for the desire of women, nor will he show regard for any other god; for he will magnify himself above them all. But instead he will honor a god of fortresses, a god whom his fathers did not know; he will honor him with gold, silver, costly stones and treasures. He will take action against the strongest of fortresses with the help of a foreign god; he will give great honor to those who acknowledge him and will cause them to rule over the many, and will parcel out land for a price. If anyone says to you, “Behold, here is the Christ,” or “There He is,” do not believe him. For false Christs and false prophets will arise and will show great signs and wonders, so as to mislead, if possible, even the elect. Let no one in any way deceive you, for it will not come unless the apostasy comes first, and the man of lawlessness is revealed, the son of destruction, who opposes and exalts himself above every so-called god or object of worship, so that he takes his seat in the temple of God, displaying himself as being God. Do you not remember that while I was still with you, I was telling you these things? And you know what restrains him now, so that in his time he will be revealed. For the mystery of lawlessness is already at work; only he who now restrains will do so until he is taken out of the way. Then that lawless one will be revealed whom the Lord will slay with the breath of His mouth and bring to an end by the appearance of His coming; that is, the one whose coming is in accord with the activity of Satan, with all power and signs and false wonders. The only places in the New Testament where the term “Antichrist” appears are in 1 John 2:18,22; 4:3; and 2 John 7. Children, it is the last hour; and just as you heard that antichrist is coming, even now many antichrists have appeared; from this we know that it is the last hour…Who is the liar but the one who denies that Jesus is the Christ? This is the antichrist, the one who denies the Father and the Son. Many deceivers have gone out into the world, those who do not acknowledge Jesus Christ as coming in the flesh. This is the deceiver and the antichrist. The final main passages that deal with the coming Antichrist are found in the book of Revelation. The dragon stood on the sand of the seashore. Then I saw a beast coming up out of the sea, having ten horns and seven heads, and on his horns were ten diadems, and on his heads were blasphemous names. And the beast which I saw was like a leopard, and his feet were like those of a bear, and his mouth like the mouth of a lion. And the dragon gave him his power and his throne and great authority. I saw one of his heads as if it had been slain, and his fatal wound was healed. And the whole earth was amazed and followed after the beast; they worshiped the dragon because he gave his authority to the beast; and they worshiped the beast, saying, “Who is like the beast, and who is able to wage war with him?” There was given to him a mouth speaking arrogant words and blasphemies, and authority to act for forty-two months was given to him. And he opened his mouth in blasphemies against God, to blaspheme His name and His tabernacle, that is, those who dwell in heaven. It was also given to him to make war with the saints and to overcome them, and authority over every tribe and people and tongue and nation was given to him. All who dwell on the earth will worship him, everyone whose name has not been written from the foundation of the world in the book of life of the Lamb who has been slain. If anyone has an ear, let him hear. If anyone is destined for captivity, to captivity he goes; if anyone kills with the sword, with the sword he must be killed. Here is the perseverance and the faith of the saints. Here is the mind which has wisdom. The seven heads are seven mountains on which the woman sits, and they are seven kings; five have fallen, one is, the other has not yet come; and when he comes, he must remain a little while. The beast which was and is not, is himself also an eighth and is one of the seven, and he goes to destruction. The ten horns which you saw are ten kings who have not yet received a kingdom, but they receive authority as kings with the beast for one hour. These have one purpose, and they give their power and authority to the beast. These will wage war against the Lamb, and the Lamb will overcome them, because He is Lord of lords and King of kings, and those who are with Him are the called and chosen and faithful. With this biblical foundation in mind, let’s move forward and see what some of the early church fathers believed about the rise of Antichrist. But is this view of the Antichrist a myth? Or is it a recent invention? The evidence reveals that it goes all the way back to the earliest days of the church. Of course, the interpretations of early church fathers do not prove the truth of this view per se, but they do provide a historical backdrop for the view of a final, future Anti­christ and they certainly demonstrate that this position has been around for a very long time. For example, the Didache or Teaching of the Twelve Apostles was written sometime between AD 70 –100. This early church document recognized the coming of a personal Antichrist who would bring a time of unparalleled trouble on the earth. …when this Antichrist shall have devastated all things in this world, he will reign for three years and six months, and sit in the temple at Jerusalem; and then the Lord will come from heaven in the clouds, in the glory of the Father, sending this man and those who follow him into the lake of fire; but bringing in for the righteous the times of the kingdom, that is, the rest, the hallowed seventh day; and restoring to Abraham the promised inheritance, in which kingdom the Lord declared, that many coming from the east and from the west should sit down with Abraham, Isaac, and Jacob (Against Heresies 5.30.4). Antichrist is a single individual whose coming was still future in the second century AD. He will totally embody evil just as Christ does good. He will lead the final great apostasy (5.21.1; 5.28.2). He will be promoted by the false prophet, who will perform great miracles that will lead many people astray (5.28.2). He will rise from the “last kingdom” when ten kings are ruling the Roman Empire (5.25.3; 5.30.2). He will be a Jew from the tribe of Dan. He will sit in the temple of God and declare himself to be God (5.25.2; 5.28.2). He will reign over the world for a period of three-and-a-half years. Then the Lord will cast him into the lake of fire (5.28.2). Irenaeus, a luminary in the second century, held a view about the Antichrist that is very similar to what is being presented in this book and by many other modern-day prophecy teachers. Moving along to the third century, Hippolytus was presbyter of Rome from about AD 200 –235. He wrote the earliest surviving, complete Christian biblical commentary, titled Commentary on Daniel. It was written around AD 204. He also penned an entire treatise concerning Antichrist called On Christ and the Antichrist. Hippolytus listed six ways in which Antichrist will be a perverted imitation of Christ: (1) He will be of Jewish origin; (2) he will send out apostles; (3) he will bring together people who are spread abroad; (4) he will seal his followers; (5) he will appear in the form of a man; and (6) he will build a temple in Jerusalem. He also taught that Antichrist would rise from a ten-kingdom form of the Roman Empire, that he would rebuild the Roman Empire, that his career would last for three-and-a-half years, and that he would persecute Christians who refuse to worship him. Hippolytus especially noted the Jewish connection of the Antichrist. “Above all, moreover, he will love the nation of the Jews. And with all these [Jews] he will work signs and terrible wonders, false wonders and not true, in order to deceive his impious equals…And after that he will build the temple in Jerusalem and will restore it again speedily and give it over to the Jews” (Hippolytus, Discourse on the End of the World 23-25). [T]he man of sin, the son of perdition, who must first be revealed before the Lord comes, who opposes and exalts himself above all that is called God or that is worshipped; and who is to sit in the temple of God and boast himself as being God… According indeed to our view, he is Antichrist; as it is taught us in both the ancient and the new prophecies, and by the apostle John, who says that “already many false prophets have gone out into the world,” the forerunners of Antichrist, who deny that Christ is come in the flesh, and do not acknowledge Jesus, meaning in God the Creator (Against Marcion 5:16 [AD 210]). Tertullian made it clear that he believed both in present “antichrists” who were heretics who divided the church, and also in a coming final Antichrist who will persecute God’s people. Cyrpian of Carthage, in about AD 250 wrote that he believed Antichrist was a future individual who would rise as a great persecutor of God’s people (Letters 69:3). Cyril, bishop of Jerusalem, lived from about AD 315 –386. Based on Daniel 7:13-27, 2 Thessalonians 2:4, and other passages commonly related to Antichrist, Cyril expected a single future Antichrist who will be a powerful, skilled worker of magic and sorcery. He will be the eleventh king of the fragmented Roman Empire and will rebuild the destroyed Jewish temple and enthrone himself there as god. [A] king shall arise out of Syria, born from an evil spirit, the overthrower and destroyer of the human race, who shall destroy that which is left by the former evil, together with himself…But that king will not only be most disgraceful in himself, but he will also be a prophet of lies, and he will constitute and call himself God, and will order himself to be worshipped as the Son of God, and power will be given to him to do signs and wonders, by the sight of which he may entice men to adore him. He will command fire to come down from heaven and the sun to stand and leave his course, and an image to speak, and these things shall be done at his word…Then he will attempt to destroy the temple of God and persecute the righteous people (Divine Institutes 7:17). Jerome (AD 331– 420), the great Latin father of the church who translated the Scriptures into Latin, also believed in a personal Antichrist. He too believed Antichrist would be a Jew, but he also held that he would be born of a virgin and indwelt by Satan himself. He further taught that the Roman Empire would be partitioned by ten kings who would be overcome by Antichrist, the eleventh king. He said the Antichrist would die on the Mount of Olives, the same place where Christ ascended to heaven. Daniel prophesies of the last judgment in such a way as to indicate that Antichrist shall first come and to carry on his destruction to the eternal reign of the saints. For when in prophetic vision he had seen four beasts, signifying four kingdoms, and the fourth conquered by a certain king, who is recognized as Antichrist, and after this the eternal kingdom of the Son of Man, that is to say, of Christ (The City of God 20:19). quite widespread during the closing decades of the second century. This mainline view in the church was that Antichrist would be a future Jewish individual from the tribe of Dan; he will come after the fragmentation of the Roman empire; he will be a persecuting tyrant; he will rebuild the temple in Jerusalem; he will exalt himself as god; he will rule for three and a half years; his fall will usher in Christ’s return to earth. Although the medieval Antichrist tradition was very complex and varied from author to author, it is nonetheless possible to discern a standard and widely accepted medieval understanding of the Antichrist: who he is, when he will appear, what he will do, and what will become of him…The medieval tradition wavered somewhat between identifying contemporary heretics (especially Jews) as antichrists and expecting a single, specific individual who would come in the future immediately before the return of Christ. On the whole, the latter interpretation was the dominant one, and medieval clergy wrote at length about a man who would be born of a whore or some other evil woman, of Jewish parentage from the tribe of Dan. It was thought that from his birth onward, he would be possessed by the devil, who would instruct him in the powers of deception and wonder making. The various “lives of the Antichist” state that he will enter Jerusalem, rebuild the temple, and convert the Jews, who will initially embrace him as their ally. He will gain political and religious power, send out false prophets, destroy belief in Jesus as the Son of God, and institute a new law. This master of deceit will appear to perform miracles and will demand to be worshiped as God. When the biblical prophets Enoch and Elias appear to challenge his rule and convert Jews to the true Christ, he will kill them and persecute their followers. In his final parody of Christ, the Antichrist will attempt to rise to heaven from the Mount of Olives. At or about this moment Christ will return from the heavens, destroy the Antichrist “with the spirit of his mouth,” and inaugurate the millennial period as described in Revelation. As you can see, this view of the Antichrist from the earliest days of church history on through the Middle Ages strikingly resembles the modern, futurist view of the Antichrist. The view that he will be an individual who will rise in the end times is almost a mirror image of the view of the early church fathers and medieval clergy. This view, far from being modern, or being a myth, dates back to the ancient church and comes from those who were closest in time to the New Testament and the apostles. Some people may disagree with the idea of a great Antichrist in the last days, but claiming that such a view is of recent vintage is not at all accurate. to figure out his identity? The identity of Antichrist has intrigued people for 2000 years. As we noted earlier, many have found it difficult to resist the temptation to identify the Antichrist. Nevertheless, as alluring as it may be at times to try to point out who the man of sin is, we must avoid attempting to do so. Those who have given in to this temptation often draw a great deal of attention for a while, but when they are eventually proven wrong, they highlight the danger of trying to specifically identify the Antichrist before the proper time. Rule #1—If the person’s name doesn’t equal 666, throw in a title. Rule #2—If you can’t get the name to add up in English, try Greek or Hebrew, or even Latin. Rule #3—Don’t be too particular about how the name is spelled. But this has not stopped people from playing “pin the tail on the Antichrist.” That raises the following questions: Is it even possible for us to know the identity of the Antichrist in this age? Should we even take the time to try to figure out who he is? There is a key passage in the New Testament—2 Thessalonians 2:1-8—that many Bible teachers read as saying that the rapture must come before the revelation of Antichrist. In other words, it is not possible to know who the Antichrist is before Christians are raptured to heaven. This means that Revelation 13:16-18 speaks to those believers who are present on the earth after the rapture. The passage provides information that will enable them to figure out who he is when he rises on the scene. Let’s look briefly at 2 Thessalonians 2:1-8 and see what it teaches us about the relationship between the rapture and the appearance of Antichrist. In 2 Thessalonians, Paul wrote to the Thessalonian believers in northern Greece to clear up some confusion they had about the coming day of the Lord (which I believe begins with the seven-year Tribulation). Evidently someone had taught the Thessalonian believers that they were already in the Tribulation. Paul corrected this error by pointing out that the day of the Lord can’t come until two things happen: (1) a great apostasy or rebellion, and (2) the revelation of the Antichrist or man of lawlessness. Now we request you, brethren, with regard to the coming of our Lord Jesus Christ and our gathering together to Him, that you not be quickly shaken from your composure or be disturbed either by a spirit or a message or a letter as if from us, to the effect that the day of the Lord has come. Let no one in any way deceive you, for it will not come unless the apostasy comes first, and the man of lawlessness is revealed, the son of destruction. Since, as many Bible teachers believe, the Antichrist will be revealed at the beginning of the Day of the Lord (the Tribulation period), and the church will be raptured before this time, it doesn’t appear that we who are Christians will know the identity of the Antichrist before we are taken to heaven. If you ever do figure out who the Antichrist is, then I’ve got bad news for you: You’ve been left behind! Sometime after the rapture, the Antichrist will come on the scene to sign a peace covenant with Israel, and then the Tribulation will begin. No doubt the chaos and confusion created by the disappearance of millions of people worldwide at the rapture will make the environment ripe for the Antichrist to quickly rise to global prominence. The world will be desperate for answers, for solutions, for someone who can bring order. The Antichrist will catapult onto the scene with answers and many will be enamored with him, but the honeymoon won’t last long because the world will face seven years of terrible tribulation. There is another way in which the apostle Paul made a connection between the rapture and the Antichrist in 2 Thessalonians 2. He said the Antichrist cannot be revealed until “he who now restrains” is taken out of the way. This restrainer is referred to both as a person and a power. Let no one in any way deceive you, for it will not come unless the apostasy comes first, and the man of lawlessness is revealed, the son of destruction, who opposes and exalts himself above every so-called god or object of worship, so that he takes his seat in the temple of God, displaying himself as being God. Do you not remember that while I was still with you, I was telling you these things? And you know what restrains him now, so that in his time he will be revealed, for the mystery of lawlessness is already at work; only he who now restrains will do so until he is taken out of the way. Then that lawless one will be revealed whom the Lord will slay with the breath of His mouth and bring to an end by the appearance of His coming (2 Thessalonians 2:2-8). God is telling us there is a specific obstacle that is hindering the full outbreak of evil and the opening of the door for Antichrist’s entrance onto the world stage. And this hindrance is called “he who now restrains.” While there are many explanations given with regard to the identity of the restrainer, I believe the view that makes the most sense is that the restrainer is the Holy Spirit working in and through the church, the body of Christ on earth. This restraint requires omnipotent power. The only one with the power to restrain and hold back the appearance of Antichrist is God. This is the only view that adequately explains the change in gender in 2 Thessalonians 2:6-7. The restrainer is both a power—“what restrains him now,” and a person—“he who now restrains.” In the original Greek text, the word pneuma (Spirit) is neuter. But in Scripture, the Holy Spirit is also consistently referred to by the masculine pronoun “He,” especially in John 14 –16. The Holy Spirit is spoken of in Scripture as restraining sin and evil in the world (Genesis 6:3) and in the heart of the believer (Galatians 5:16-17). The church and its mission of proclaiming and portraying the gospel is the primary instrument the Holy Spirit uses to restrain evil in this age. We are the salt of the earth and the light of the world (Matthew 5:13-16). We are the temple of the Holy Spirit both individually and corporately. Well, what is keeping the Antichrist from putting in his appearance on the world stage? You are! You and every other member of the body of Christ on earth. The presence of the church of Jesus Christ is the restraining force that refuses to allow the man of lawlessness to be revealed. True, it is the Holy Spirit who is the real restrainer. But as both 1 Corinthians 3:16 and 6:19 teach, the Holy Spirit indwells the believer. The believer’s body is the temple of the Spirit of God. Put all believers together, then, with the Holy Spirit indwelling each of us, and you have a formidable restraining force. For when the church is removed at the rapture, the Holy Spirit goes with the church insofar as His restraining power is concerned. His work in this age of grace will be ended. Henceforth, during the Great Tribulation, the Holy Spirit will still be here on earth, of course—for how can you get rid of God?—but He will not be indwelling believers as He does now. Rather, He will revert to His Old Testament ministry of “coming upon” special people. When the rapture occurs, the Spirit-indwelt church and its restraining influence will be removed from the earth. Satan will then be able to put his plan into full swing by bringing his man onto center stage to take control of the world. The rapture will throw the door wide open for the Antichrist to come to power and bring forth an outbreak of evil unlike any that has ever occurred before. The fact the restrainer is still in place right now means that Satan must wait on God’s timing before he can unveil the Antichrist. That God is sovereign in this way also assures us that Satan’s eventual defeat is certain long before he ever even begins his last-days assault on God and His people. He can’t make his final diabolical move until God releases him to do so by removing the restraining power of the Spirit in the church. 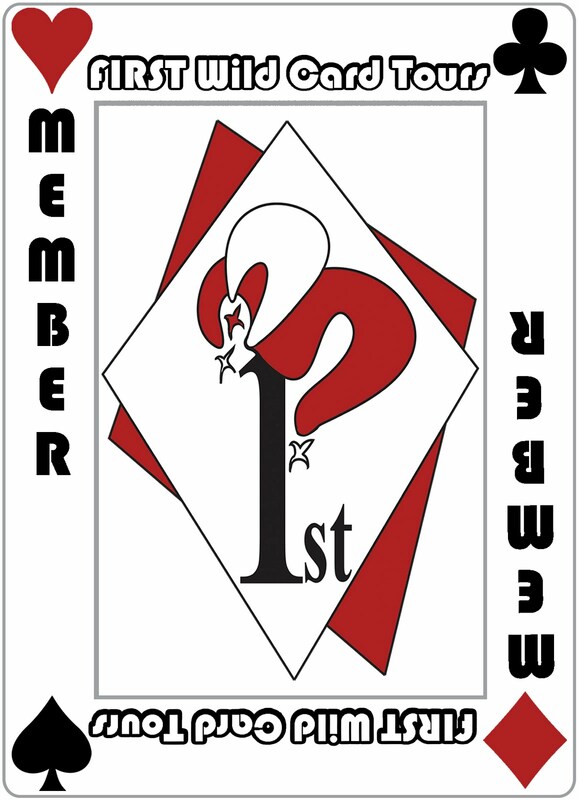 It is therefore more certain, and less hazardous, to await the fulfilment of the prophecy, than to be making surmises, and casting about for any names that may pre­sent themselves, inasmuch as many names can be found possessing the number mentioned; and the same question will, after all, remain unsolved. For if there are many names found possessing this number, it will be asked which among them shall the coming man bear (Against Heresies 5.30.3). are looking for the One whose name is above every name, the One before whom every knee will bow and every tongue will confess that He is Lord, to the glory of God the Father (Philippians 2:9-11). Ok, so this book was very interesting. It made me giggle in the beginning. If you read the first chapter you'll see why. I mean the thought of Ronald Regan as the antichrist? But seriously, we know that the more some people know the more their imaginations run wild with them. Reading this book pointed out some very good things and continued to make me think and ask questions. I can't say that we will ever know who the antichrist is until the day it happens. Just like the book of Revelations. I think we know the things that are going to happen but we aren't necessarily meant to do anything. It's all written in the Bible for a reason. We already know the outcome. But since everyone wants to toss out their ideas of who it is...I'm going to tell you my thoughts based on this and the thought that Barack Obama is the antichrist (another persons theory, not mine...my prediction is coming...) "…when this Antichrist shall have devastated all things in this world, he will reign for three years and six months," ... ok so given this timing....I've decided that the date will be July 20, 2012. And the antichrist is going to come back as...The Dark Knight. That's right folks you heard it here. Batman 3 set to be released on July 20, 2012. If you really want to know who the antichrist is, read the book by Okaybabs titled ("The Last Message" - A thrilling revelation of apocalyptic final ultimatum from the outer space to the universe so that humanity may escape Armageddon! )That is the most accurate book on the subject.